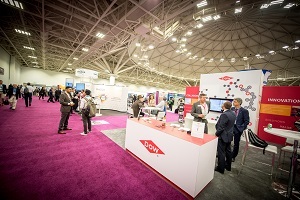 The STLE Annual Meeting & Exhibition is the lubricants industry’s most respected venue for technical information, professional development and international networking opportunities. 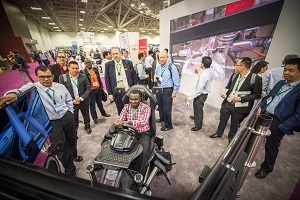 Each year STLE’s five-day conference showcases some 500 technical presentations, application-based case studies, best practice reports and discussion panels on technical or market trends. Our annual trade show and popular Commercial Marketing Forum spotlight the latest products and services of interest to more than 1,600 lubrication professionals that come from around the world, representing a full range of the industry’s most prestigious corporate, government and academic institutions. 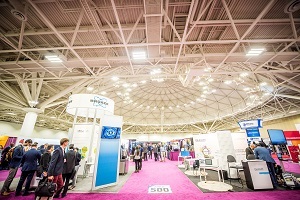 Each year STLE’s annual meeting is known for its exceptional technical content, with dozens of technical sessions and more than 500 presentations to choose from. With so much programming options, a major concern for attendees is scheduling conflicts, as they miss presentations that they would like to hear or cannot share materials with their colleagues who are unable to attend the meeting.